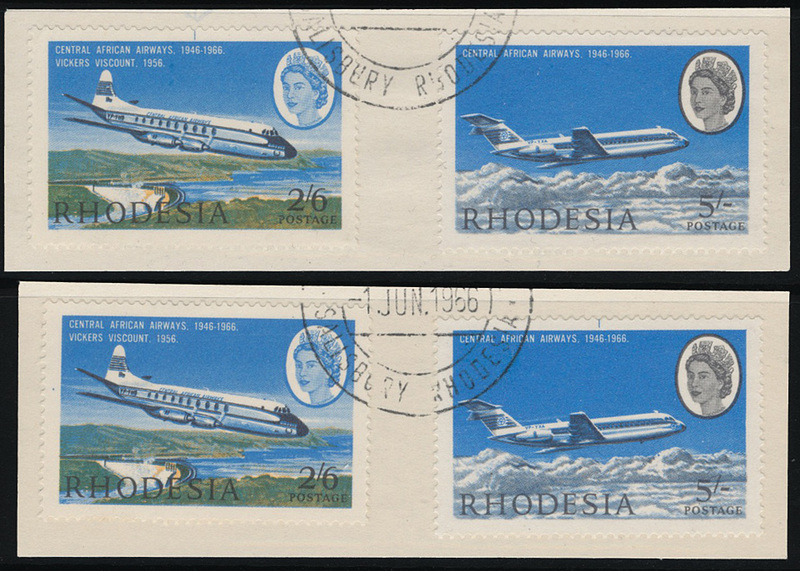 1966 2/6 and 5/- CAA, two matching pieces each with both values and presumably cut from First Day covers. Showing blue vertical line in top margin of each duty respectively. Superb CTO. SG 395, 396 and vars.